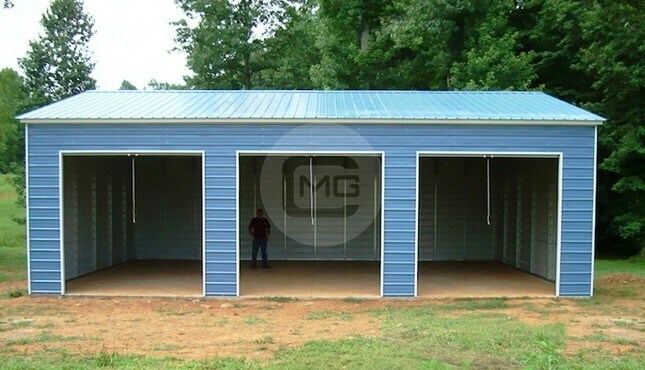 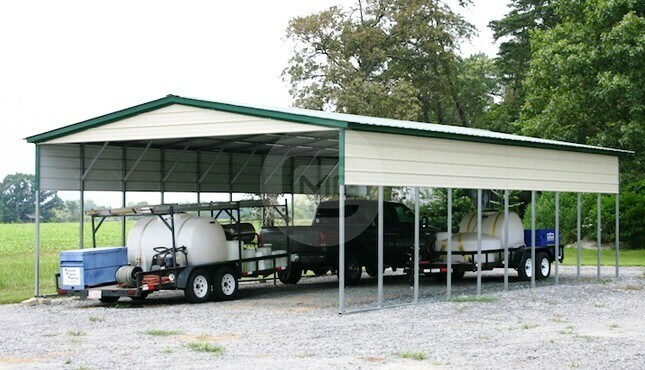 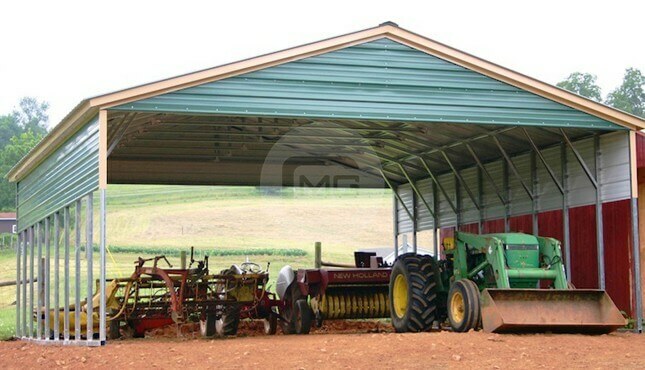 20’W x 26’L x 10’H Vertical Roof Workshop with (2) 12’W x 26’L x 7’Ht. 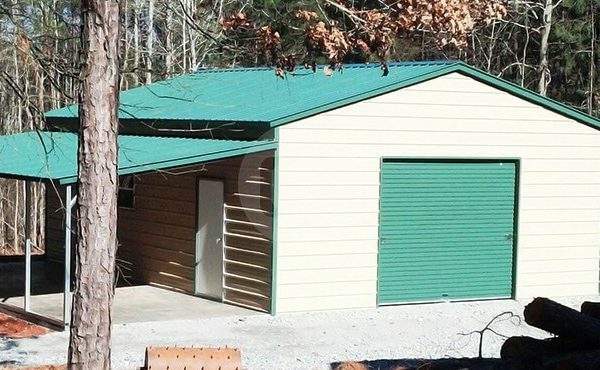 Lean-to’s on each side. 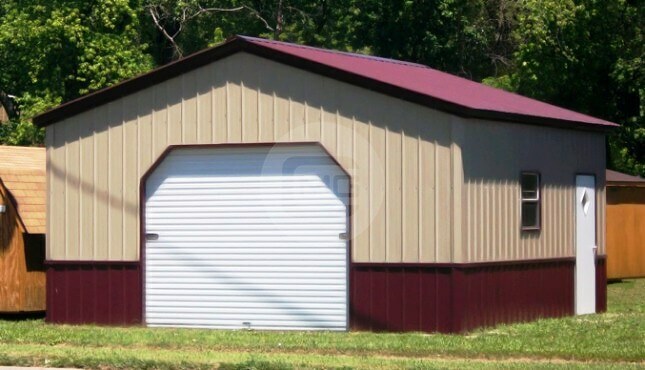 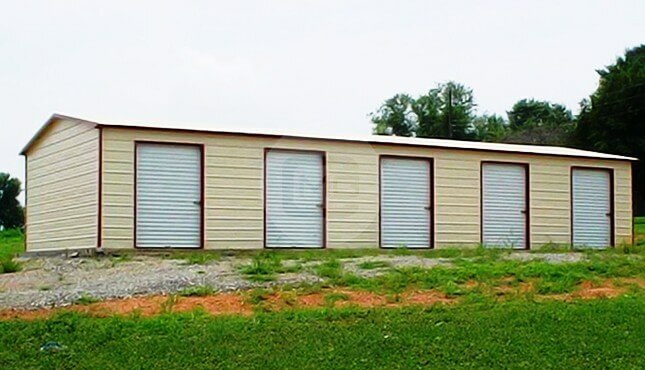 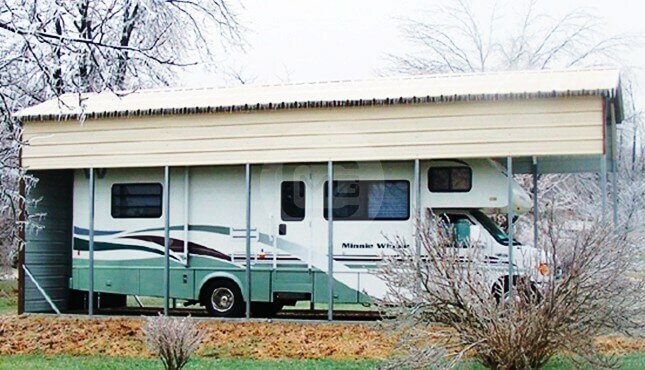 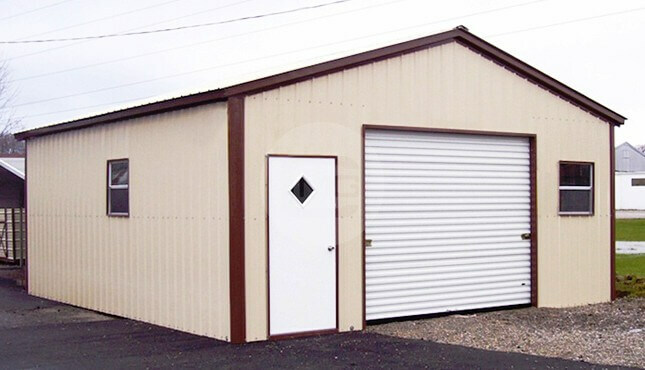 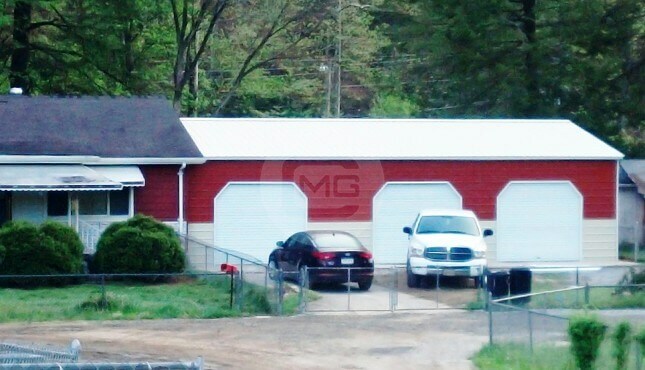 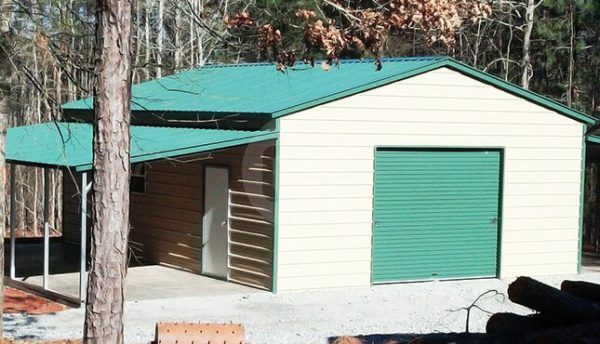 (1) 9×8 Evergreen Garage Door, (1) 36″x80″ Walk In Door and (1)30″x30″ window.